We have a thriving Junior Academy, well supported by a number of qualified coaches derived from senior players past and present, parents/carers and other volunteers operating under the ECB Safe Hands policy for the Safeguarding and Protection of Children. We provide coaching for children from the age of five or six upwards from the end of April to the end of July. As a small, family orientated club we pride ourselves in providing high quality coaching where everyone feels included within a safe and friendly environment. To see our FAQ, please see our FAQ document. 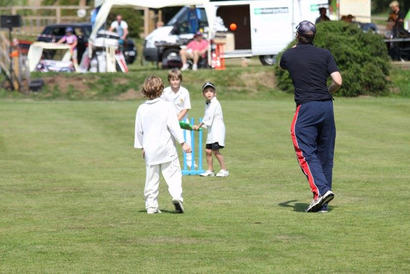 All training takes place at Eversholt Cricket Club. Fixture lists for each team can be found on the Meet the Teams drop-down menu at the top. Eversholt Cricket Club fully supports the ECB Safe Hands Policy. All our coaches & volunteers are subject to the relevent Vetting checks and our coaches are all affiliated to the ECB Coaches Association. 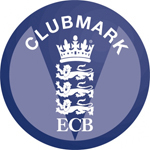 We hold the ECB Clubmark accrediation, which recognises our efforts in prioritising junior development and creating a benchmark for high quality community club cricket. For more information, please contact our Head of Junior Cricket, Roger Lewis, on 07377 369317. Alternatively, please email info@eversholtcricketclub.co.uk for more information.